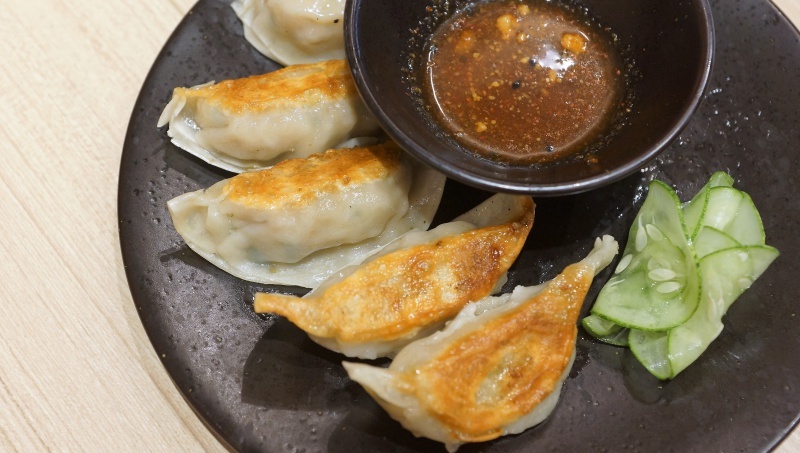 There are plenty of food outlets in Northpoint City at Yishun, so it can be a daunting task at times to scout something that can please everybody’s palate. 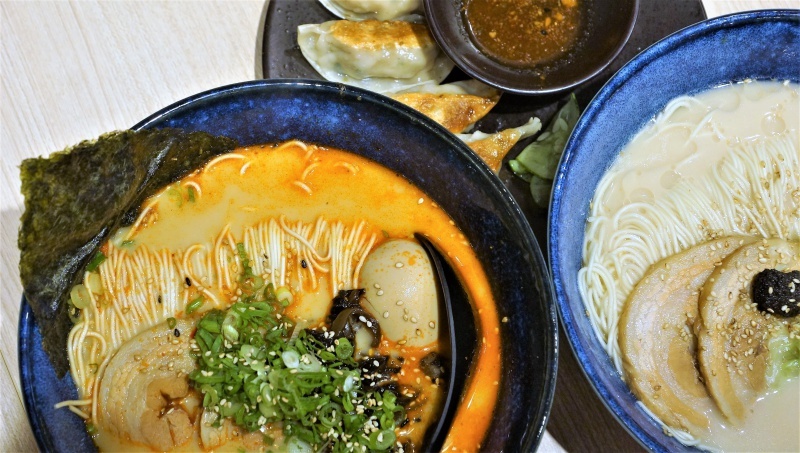 After a few rounds around the mall, we finally settled down at Kanshoku Ramen Bar – a Japanese restaurant. The big banner highlights their unique dry Truffle ramen which attracted our attention and we decided to give it a shot. 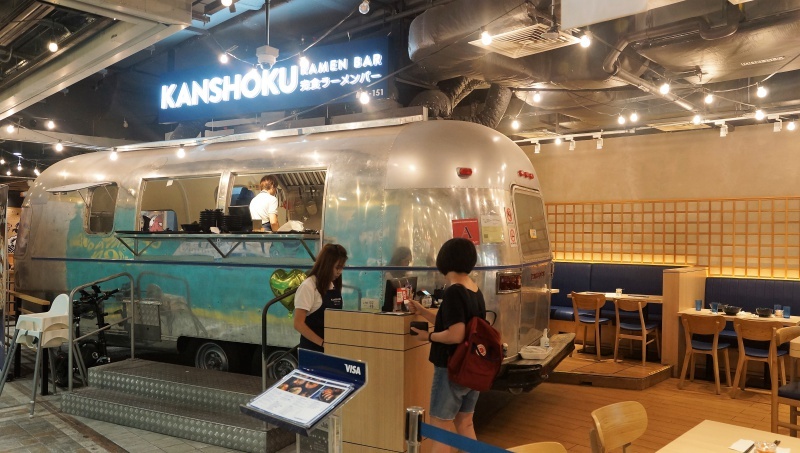 Kanshoku Ramen Bar utilizes an old bus shell for their kitchen operation and obviously part of the marketing gimmicks to attract the attention of the customers. An old big bus inside a shopping mall is definitely catchy. 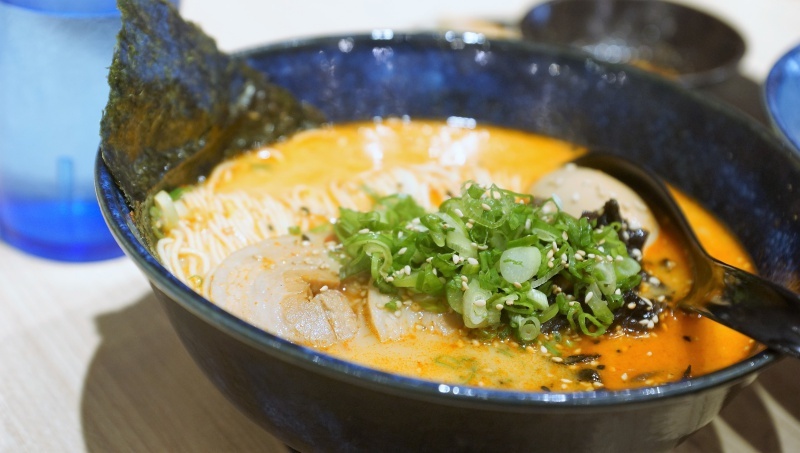 Specially imported chilli from Japan is blended with Tonkotsu broth to create this ramen. 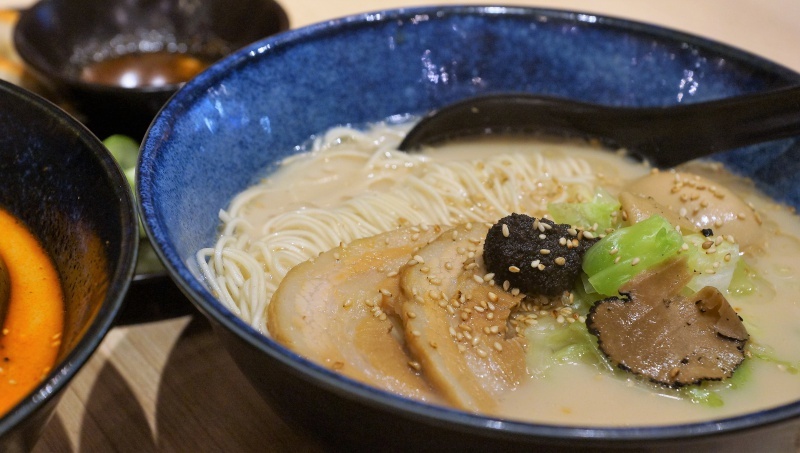 The spicy Tonkotsu ramen is my son’s favourite, the orange-red chilli-infused Tonkotsu broth can be intimidating at first sight with its fiercely hot appearance, but it turned out that the spiciness was well within the tolerable level. Unfortunately, the broth was fairly ordinary in taste and can’t really impress our taste buds. 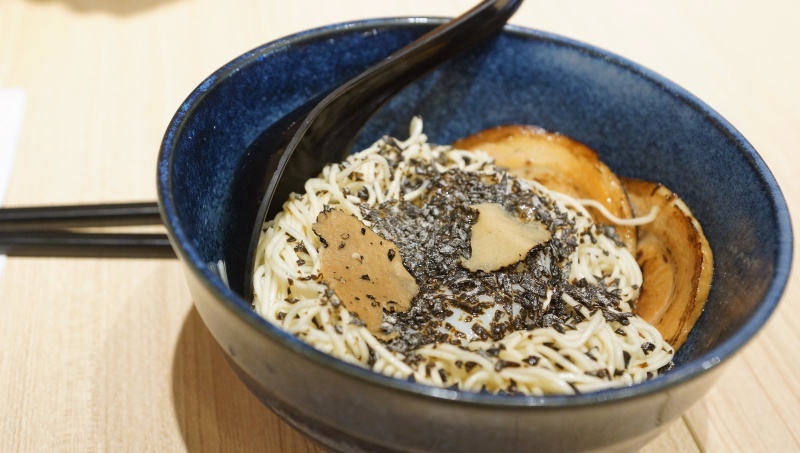 The Truffle ramen dry is definitely worth a try at Kanshoku Ramen Bar, the rest of the ramen tasted ordinary and were nothing to shout about. If you have only one choice, it is fairly clear what it is.